100% good. Gently bubbling with real raspberries & lemons. Lots of real pressed juice for a genuinely fruity taste. Blended with gently sparkling spring water. Non-alcoholic. 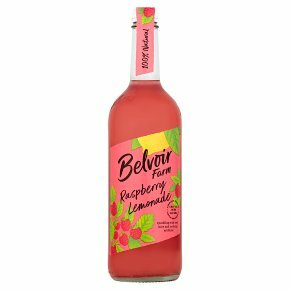 100% natural ingredients and no flavourings.Belvoir Raspberry Lemonade is made using real pressed raspberry and lemon juices blended with spring water to give a soft, refreshing alternative to traditional lemonade.